For the month of October our Camino Desktop Calendar peers through trees at the iconic Cathedral of Santiago de Compostela, the finishing point of each and every route of the Camino de Santiago. Considering that pilgrims traditionally started the Camino from their own homes, you could say that there are an infinite amount of starting points for the Camino de Santiago. 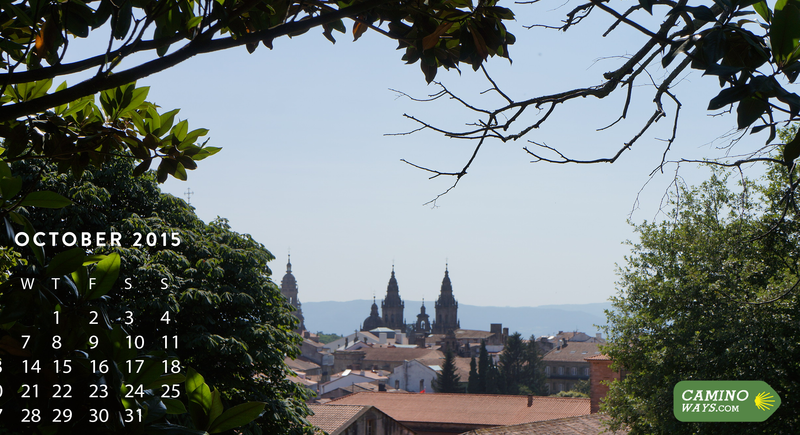 However there is only one official finishing point and that is the charming city of Santiago de Compostela. We hope that you like this month’s image.